Ven. Namgyal Rinpoche taught and empowered many of the Wangapeka Teachers and Community. He inspired into existence the Wangapeka Study and Retreat Centre. This very brief outline of the life of Rinpoché has been compiled from an in-process article being written by Sonam Gyatso covering the early chronology of Rinpoché’s life, and from my own observations. It was begun in Edmonton, Canada 25/11/03 and finished at the Wangapeka Study and Retreat Centre, 5/02/04. I pray it is of inspiration to beings in search. On October 22 2003 in a cottage on the shore of the Bodensee in Switzerland the great teacher we knew as Namgyal Rinpoché died at the age of 72. How can one outline the life of such a being? One time, many years ago, he said to me, “I have no name. I’m sunyata, (emptiness; the spacious openness of interbeing) plus whatever you or anyone else wants to project.” With this in mind I suppose that there are as many true histories of the Rinpoché as there are historians. I’m sure that, in time, there will be attempts to record his life with detail and accuracy, however, for now, here are a few observations gathered from hearing him refer to his life, from my own observations, from Lama Sonam Gyatso’s records and from conversations with other students of the Rinpoché. Rinpoché was born and raised in the Canadian city of Toronto. His mother, a nurse, was of Scottish descent and his father was Irish and was a policeman. He had a younger sister. I didn’t hear him speak much about his childhood but he did reveal some experiences that were important shapers of his life. His father was a Freemason and so, as a teenager, the roots of his interest and involvement in the western traditions of awakening were established. He went to Malvern Collegiate Institute in Toronto where he excelled in music appreciation, and during the summers he worked at Conaught labs which gave him an early interest in biology and medicine. 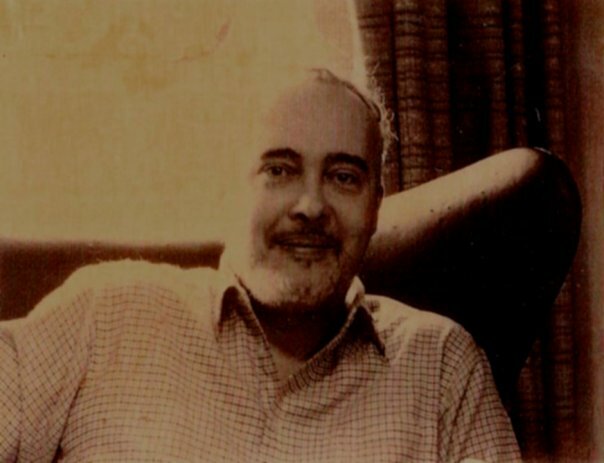 In his late teen years, having had many mystical experiences in early life, he felt the call to the ministry, attending Jarvis Baptist Seminary for a short time where he learned many arts such as ‘homiletics’ and ‘higher (biblical) criticism’. He did not enter the ministry at that time but moved on to further studies in Philosophy and Psychology at University of Michigan, Ann Arbor. This was followed by an intense period of involvement in the Socialist youth movement in Canada, culminating in a visit to Russia to address a youth conference in Moscow. 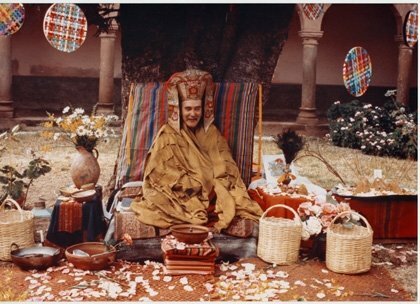 After this he returned to London where he explored the Western Mystery tradition and Buddhism and began to practise meditation regularly. 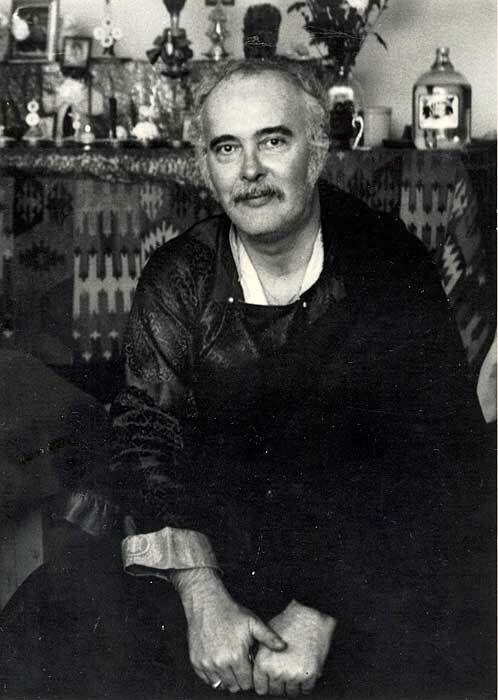 In 1956 the young Leslie George Dawson attended a talk given by a Burmese meditation master, the Ven. U. Thila Wunta Sayadaw. Some powerful connection must have been awakened at this time. The Sayadaw suggested that the young Canadian travel to Burma to study with him. Later that year, Rinpoché received the novice ordination from the Sayadaw at Buddhagaya in India and then the full ordination in Burma. At this point he became known as The Ven. 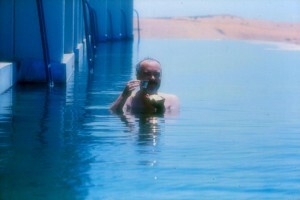 Bhikkhu Ananda Bodhi. The Bhikkhu spent about 5 years studying in Burma, Thailand and Sri Lanka where he became thoroughly grounded in the Theravadin tradition and was eventually recognised as a Samatha-Vipassana-Kammathan-Acariya a master teacher of meditation. In 1961 the English Sangha Association requested that the Ven. Ananda Bodhi be the incumbent abbot in London. During the next few years, in addition to giving extensive teaching throughout the U.K, he established the Hamstead Buddhist Vihara in London and a retreat centre in the south of Scotland called Johnston House. Today it is thriving as a large very active Karma Kagyu Centre, Samyeling. ; A third meditation centre in Staffordshire (Biddulph Old Hall) was established but is no longer a retreat centre. In 1965, he returned to Canada where he began to teach in Toronto. In 1966, the Dharma Centre of Canada was established and a 400 acre meditation property near Kinmount Ontario was purchased. The Bhikkhu, as he was known at that time, taught mostly in Toronto for about 8 months each year and then encouraged students to travel and study dharma with him during the remaining 4 months. It was during one of these many trips that he went to Rumtek in Sikkim and met with H. H. the 16th Karmapa who recognised him as a tulku. 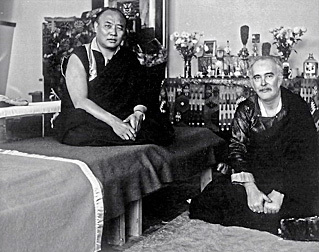 At this time, Rinpoché didn’t feel that there was any point in re-ordaining in the Tibetan tradition since the vows were the same as those he was already carrying. 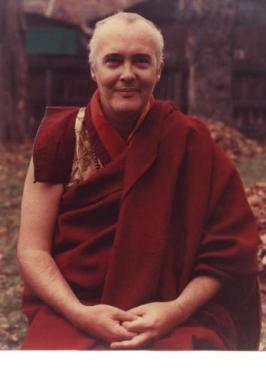 He returned to Canada, continuing to teach as Ananda Bodhi. At this time many of his students were young Canadians from the hippie era. It was a time of great experimentation and challenging of all traditions. 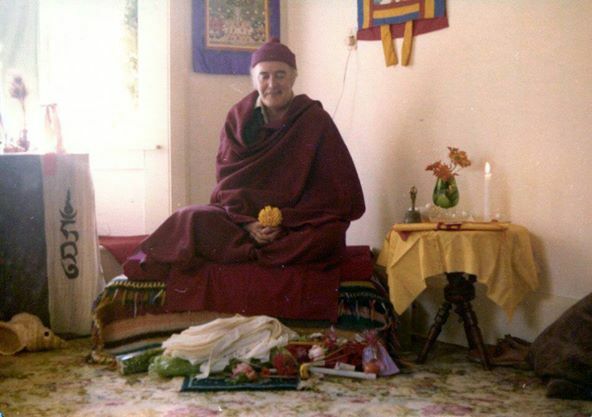 Moving in the flow of this energy, he taught a wide range of approaches to awakening using all the main traditions of Buddhism along with psychotherapy, western science, art, philosophy, movement and dance, and many other disciplines. This was a very rich experimental time as he investigated what activities would most help to liberate beings. During this time he must have contemplated the value in using the Tibetan tradition as a vehicle for helping beings. Shortly after I began to study with the Bhikkhu in 1970 we travelled to India and on to Rumtek with 108 people. During this visit Rinpoché was re-ordained by H. H. the 16th Karmapa and, ever since then, he has been known as Karma Tenzin Dorje Namgyal Rinpoché. 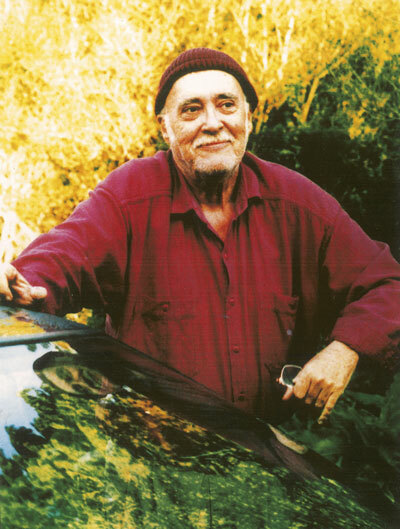 From this time till his death, Rinpoché travelled all over the world, continuously teaching, exploring, and supporting the establishment of many centres for the study and practice of Buddhadharma. 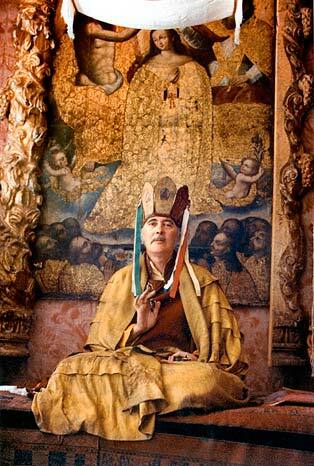 He showed us a path of dharma, an immense mandala of bodhisattva activity, that was open and willing to explore every facet of life. Outwardly eclectic in expression, there was nothing that didn’t have a place in this vast vehicle of awakening, however, although we explored so many facets of life, the teaching and practice always came back to the essence Mahamudra, the cultivation of mindfulness, and the active work of flowering many forms of compassion into the world for the benefit of all beings. 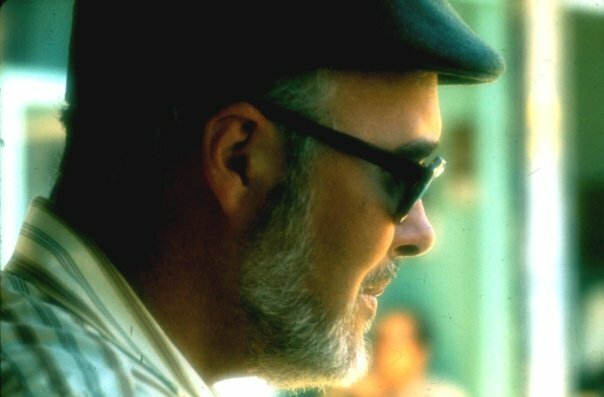 Over the years, his life has directly and indirectly touched an extraordinary number and range of people so that even though he is no longer with us in the flesh, the ripples of his teaching continue to spread throughout the world. Some of his students have become very skilled and competent teachers of dharma in their own right so that they and the centres that they have helped establish, continue to flourish with myriad activities benefiting many beings, especially in New Zealand, Australia, Japan, Canada and Europe. The Wangapeka Study and Retreat Centre is one of the centres inspired into existence by the life and teaching of Namgyal Rinpoché. On his second last visit, he was talking about the possibility of establishing in NZ a new centre for the practice of Dharma according to the Sakya tradition of Tibetan Buddhism. One person asked if the Wangapeka could be that centre. He said, “No, not the Wangapeka. This centre is for the development of new experimental forms and expressions of the dharma.” In a way, this was what the life of Namgyal Rinpoché was very much about. He was a bridge from the great ancient traditions of unfolding, to the space age modern, world wide web world. It has taken me years to realise that this statement applies to all of us. It has been wondrous to have lived so many years knowing him, an extraordinary manifestation of Emptiness and vast compassionate activity. May the wholesomeness of the teachings that he has given so freely to so many beings continue to grow and flourish for the sake of many beings yet to come.